New Zealand's North Island provides an unparalleled collection of some of the world's most magnificent and diverse scenery. Snow capped volcanoes and bubbling geysers are found scattered around this geothermic wonder of an island. New Zealand’s North Island provides an unparalleled collection of some of the world’s most magnificent and diverse scenery. Snow capped volcanoes and bubbling geysers are found scattered around this geothermic wonder of an island, with the coastline hosting some of the world’s most pristine sandy beaches. As if these incredible geographical marvels were not enough, you can also find lush vineyards among them, offering an unforgettable day of indulgent wine tasting. When looking for places to visit in New Zealand you will find that travelling through this country is wonderfully convenient because of the number of different modes of transport on offer. From scenic railway journeys and self-driven road trips to cross-country flights and ferry crossings, there is no shortage of travel options. The North Island, however, is not just about places to visit in New Zealand, or things to do in New Zealand, it also has an immense historical significance. It also welcomed New Zealand’s first European settlers and the Bay of Islands was the site of the signing of the treaty of Waitangi. The North Island also plays host to 77% of the country’s total population and is the world’s 14th largest island. The water ripples around the hull of the boat as the sails fly above your head and the sunlight shines deep into the clear turquoise ocean below. The boat glides alongside an untouched beach, the white sand dazzlingly bright against the dark mottled green of the rainforest behind it. With a terrific splash a dolphin launches itself out of the water beside the boat, and as it dives beneath the surface and comes twirling back up, it is joined by others, all taking part in this playful dance. 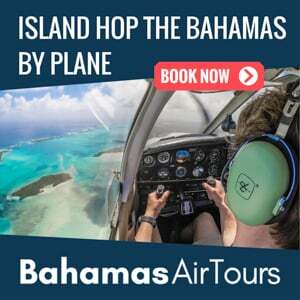 Made up of 144 islands in total, you’ll be sitting aboard a catamaran, enjoying the sights, sounds and smells of this Bay of Islands ocean paradise. What’s more is the water beneath you is teaming with a wide range of marine life. With everything from dolphins and orca (killer whales) to humpback whales and seals, as well as several species of seabird overhead. The nature and wildlife in the Bay of Islands are not all that makes it significant, it also boasts a rich history. In 1769 Captain Cook arrived in the Bay of Islands and along with his crew, set foot on this land as the first Europeans to have discovered New Zealand. The first settlement known as Russell was established, this is now a much smaller and quieter town than Paihia. This will likely be your home base during your visit to the Bay of Islands. 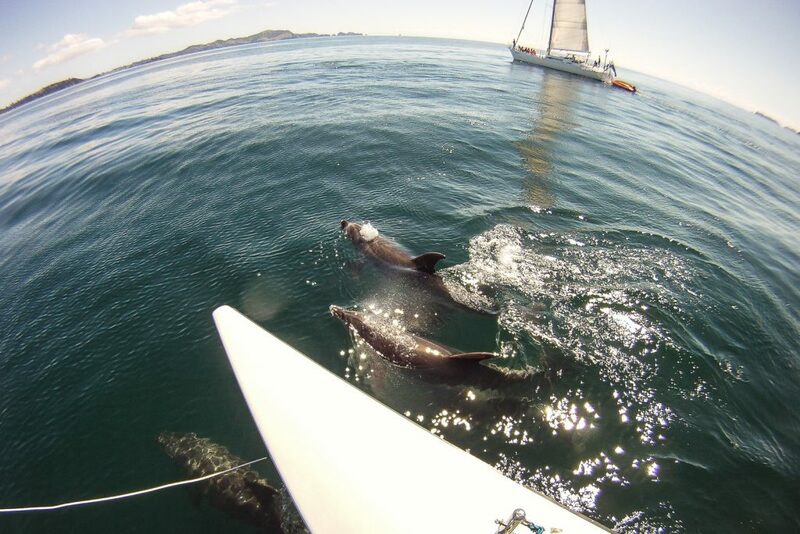 Read more about visiting the Bay of Islands and swim or sail with dolphins. A rush of adrenaline pulses through your body as you speed down the snow covered slopes of this active volcano. Reaching the bottom in a cloud of snow and with unbridled excitement, you clamber back onto the chairlift and begin your ascent again. 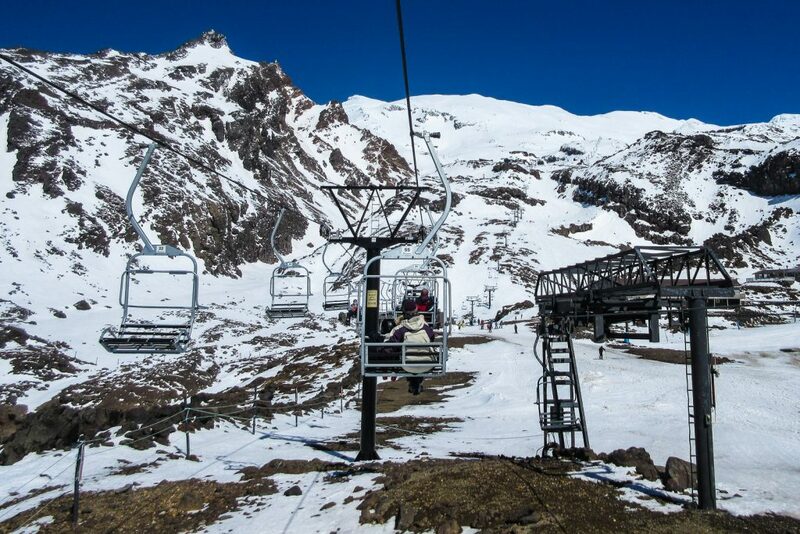 Joining sightseeing tourists and hikers who use this chairlift year round for access to the top of Mt Ruapehu. Tongariro is undoubtedly New Zealand’s mecca for snow sports in this amazing winter wonderland and playground. Tongariro is New Zealand’s oldest National Park and one of the most beautiful New Zealand landmarks. Standing proudly at its very heart is the North Island’s Highest Peak, Mt Ruapehu at a staggering height of 9,177ft. While it may be the highest peak, it is not the only one that breaks Tongariro’s horizon. 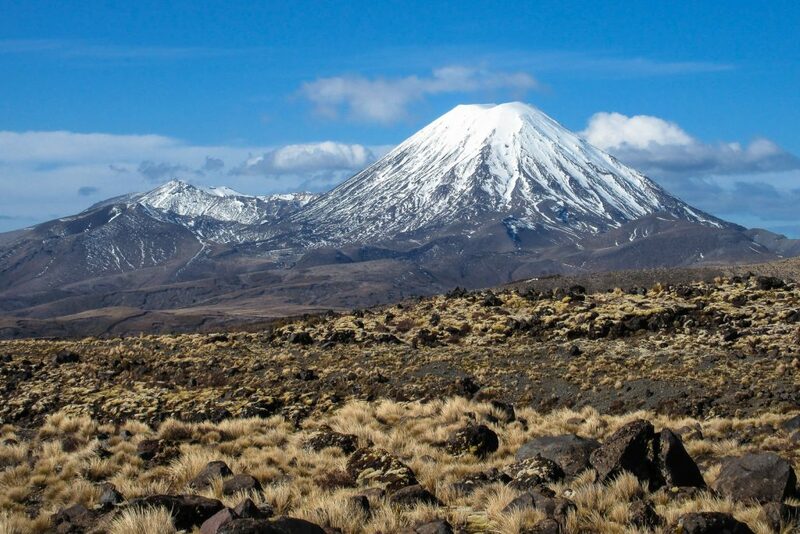 Mt Ngaurahoe and Mt Tongariro can also be found in this marvellous park, and all lie within the Taupo Volcanic Zone. 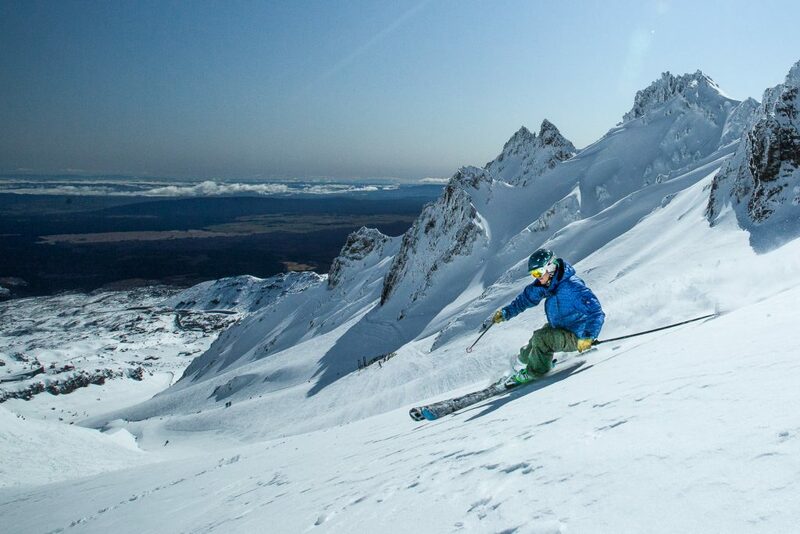 Read more about Skiing or taking the scenic Chairlift at Whakapapa. A trip to Tongariro National Park is something that should definitely be part of your New Zealand Itinerary. Between the Geothermic wonders in this park, and the thrill of enjoying winter sports on their slopes, there is something here for everyone. Mt Ruapehu is one of the three snow-capped volcanoes found in this park, and with 2 commercial ski slopes, it is also one of the most popular peaks in the country. If adrenaline sports don’t entice you, you’ll still have the chance to enjoy a scenic chairlift ride up the mountainside to get a splendid view of the park laid out before you. Read our full New Zealand Travel Guide. A strong smell of sulphur fills the air as you walk around the steaming crater. The White Island rises majestically out of the glistening ocean, its sparse landscape contrasting the colourful ocean life beneath it. The island’s terrain bubbles and boils as hot mud pools gurgle and steam rushes from vents in the earth’s crusty surface. This otherworldly landscape sets a truly incredible setting for unique photography. Off the North Coast of New Zealand’s Bay of Plenty lies one of the country’s most impressive geographical wonders. 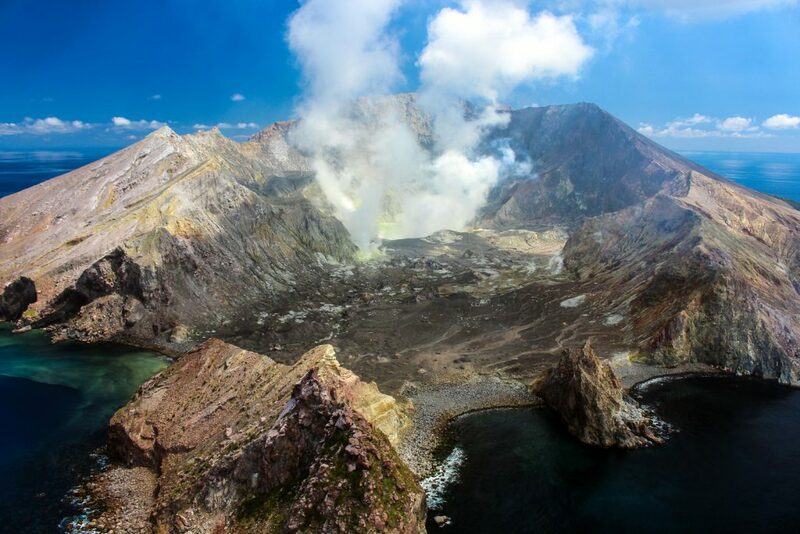 Known as the White Island because of the cloud of white steam rising from its jagged crater. This serves as an excellent visual aid as you draw nearer to the island on a boat tour from the town of Whakatane. To ensure you’ll have a place to stay in this small town, book a room at the White Island Rendezvous ahead of time. The train runs smoothly along the tracks, rounding a gentle bend as the open-air carriage is filled with a cool breeze rolling down from the mountainous landscape. A flowing meadow leads away from the tracks, waving in the wind in a swirl of golden brown grassland. As the minutes pass, the terrain changes from rocky mountains and soft meadows to lush rainforest, displaying New Zealand’s stunning natural diversity. 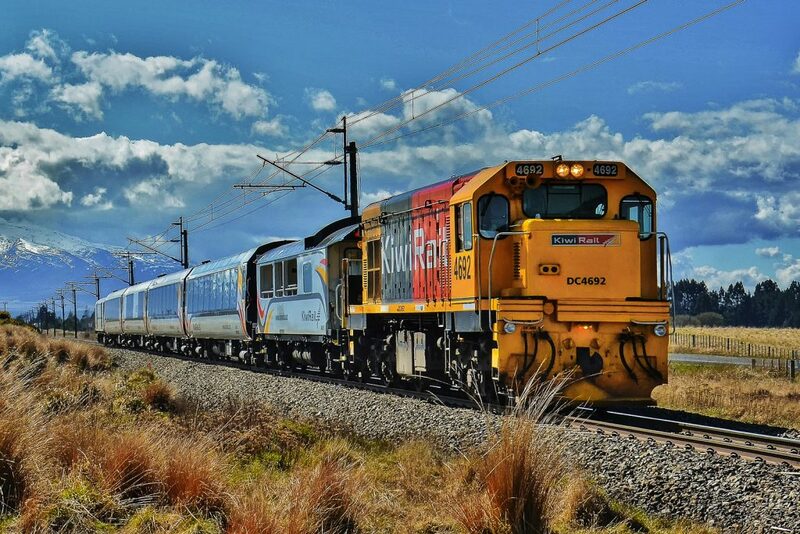 The Northern Explorer train is operated by KiwiRail and travels a distance of 682km between Auckland and Wellington. Since these are the two largest cities in the entire country, this trip is not only scenic but also convenient if you’re looking for new places to visit in New Zealand. 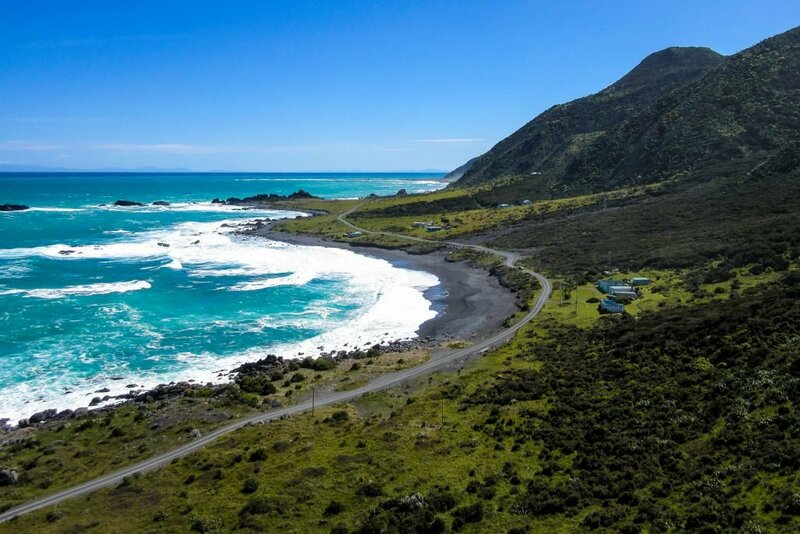 At a total travel time of 11 hours, this is a day-long journey that will provide you with excellent views of a wide range of New Zealand’s terrain.Taking this journey is one of the very best things to do in New Zealand. Read more about Why you should take the Train across the North Island. Aside from the geographical splendour that this train journey provides, it is also a beacon of excellent engineering, especially since the track was built in 1909. As you bisect the island on this railway, you will cross a series of impressive viaducts and travel down the tight Raurimo Spiral. 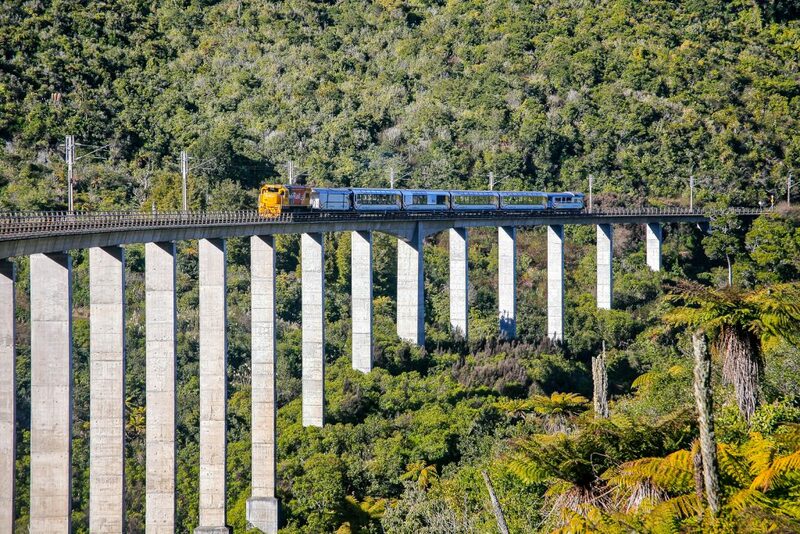 Over the years the line has progressed to feature a number of engineering miracles including the 414m long Hapuawhenua Viaduct, which was completed in 1987. The thundering sound of the rapids around the raft drowns out the sound of your pounding heart. Adrenaline pulses through your body as the raft powers forward. Veering past solid boulders and down wild rapids your team paddle, lean and work together to keep the raft upright. As the water splashes over the sides of the raft, a blur of green rushes past as the forest along the bank witnesses your watery descent. There are many things to do in New Zealand that will get your blood pumping, but few activities compare to the extreme experience of whitewater rafting. 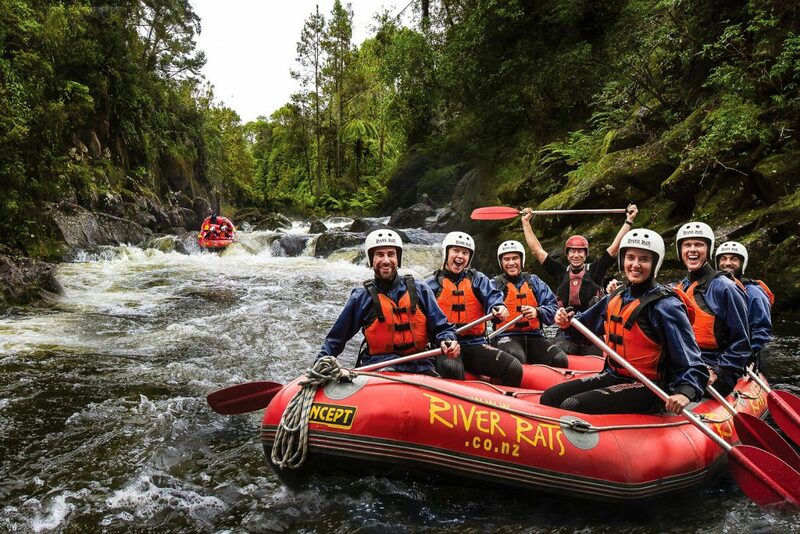 Surrounded by New Zealand’s sublime nature as you and your team work together to navigate these rapids is something that everyone should try at least once. New Zealand in particular, is an excellent place to do whitewater rafting, not only are the safety standards one of the highest in the world, but you can also find a river to raft on almost anywhere in the country. 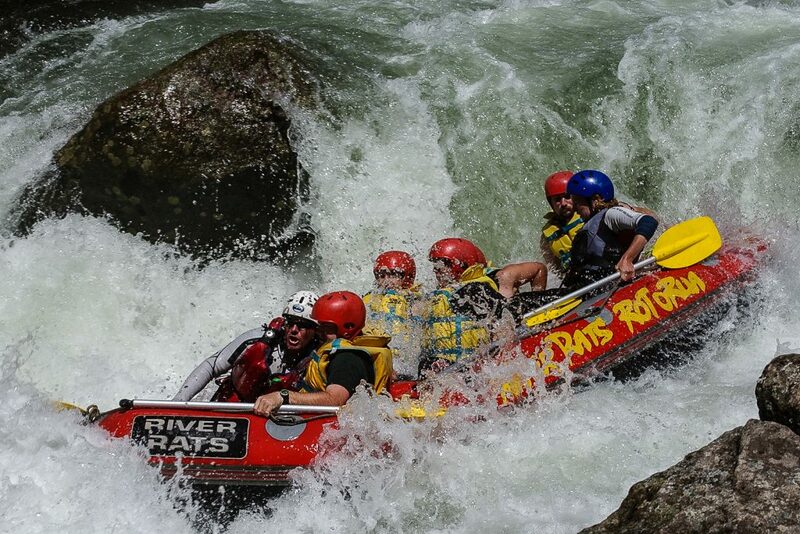 To learn more about this thrilling experience, take a look at Why you should go Whitewater Rafting in New Zealand. If you have anything from bungee jumping and sky diving, to rock climbing, hiking and sailing on your New Zealand Itinerary, chances are you’ll be visiting Lake Taupo. With a plethora of different and exciting activities to take part in, this fantastic destination is North Island’s Mecca for outdoor endeavours. Lake Taupo is what’s known as a caldera. This simply means it is a volcanic crater formed from an historic, violent eruprtion, which is then flooded forming the lake. The eruption that caused this crater was the world’s largest in the past 70,000 years. While it may be a lake, the area is alive with volcanic features of all kinds. It is one of the many excellent places to visit in New Zealand. 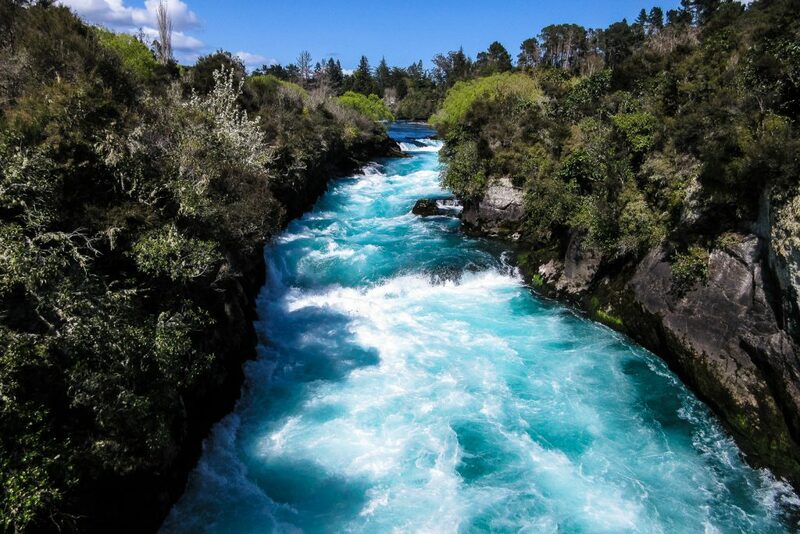 The main river that feeds water into Lake Taupo is known as the Waikato River and is home to the truly spectacular Huka falls. The water that cascades down these falls and flows to join the river is a brilliant turquoise colour which mingles beautifully with the white rapids. Read my full New Zealand Travel Guide. Learn How to Pack your Suitcase like a Pro! Follow the download instructions in the welcome email. With a population of 4.5 million people, New Zealand’s largest city of Auckland is home to as many as 1.3 million. Further to the south, New Zealand’s capital city of Wellington can be found, and while it may have far fewer people, it’s a wonderfully charming city to visit. Against Auckland’s impressive skyline, large urban area and thriving harbour, Wellington’s picturesque landscape holds it’s own allure. To see Auckland at its very best, be sure to book a hotel downtown, near the waterfront. This will provide you with stunning views of the busy harbour and the glistening ocean spread out before you. To get an even better view of the city you can visit the Sky Tower’s revolving restaurant, offering excellent panoramic views of this marvellous city. The clear air, wide sidewalks and general safety of the city allow you to explore its many bustling streets by foot. 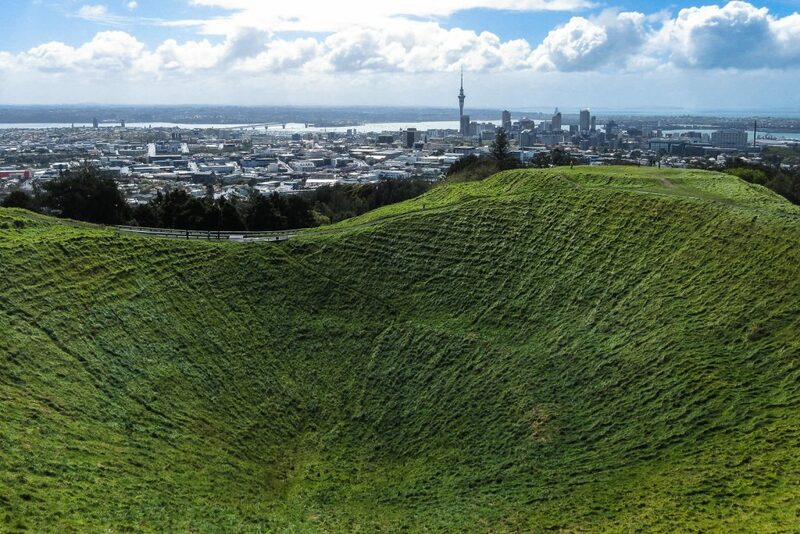 Walking tours are very popular in and around Auckland, particularly ones which take you to the top of one of the many volcanic cones dotted around the city. 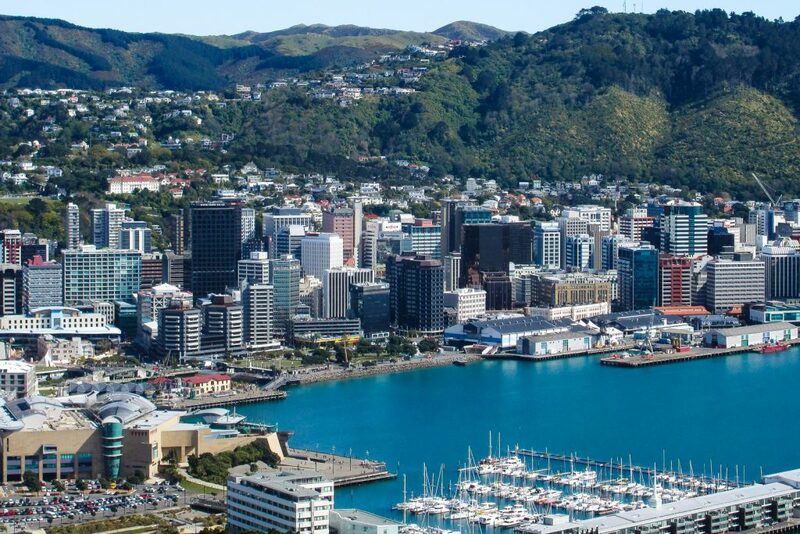 While Auckland may have tall buildings from which to view the city, Wellington has the Mt Victoria lookout point. This wonderful viewpoint will provide you with excellent views across Wellington’s waterfront. Particularly if you lace up your hiking boots before dawn and watch the sunrise glisten off the ocean’s faceted surface. Along with its undeniable charm, Wellington provides access to a number of premium vineyards in the area. The smell of sulphur saturates the air as the towers of steam blast out of crater-like vents in the ground. A bubbling pool of hot mud gurgles, setting an alien-planet theme to the landscape. The sulphur deposits in the rock break the solid grey colour with brilliant patches of yellow, creating a truly hypnotic setting for photography. 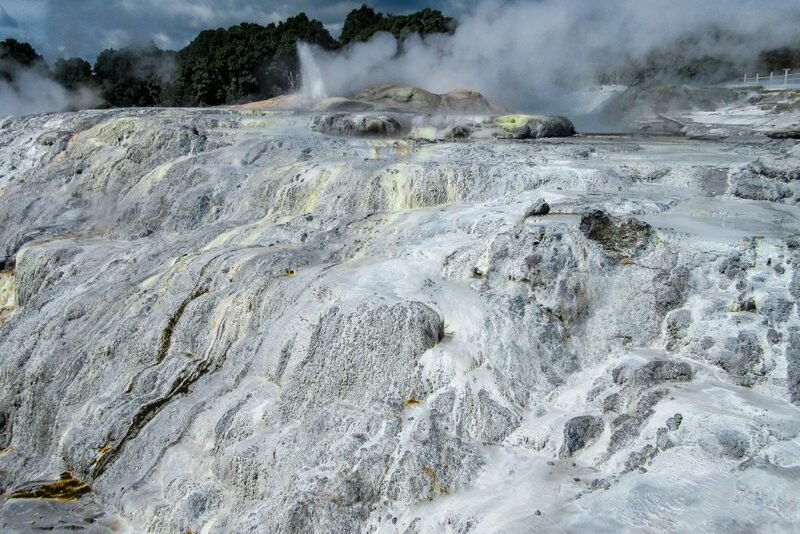 Rotorua’s unique geothermic landscape brings in millions of annual visitors, but the landscape is not the only attraction here. This area holds immense historical significance to the Maori people. This has led to a number of museums and cultural attractions being built. The Maori arrived on this land in 1325 and took advantage of the geothermic activity for cooking and heating. There are few places on earth with a landscape like Rotorua. 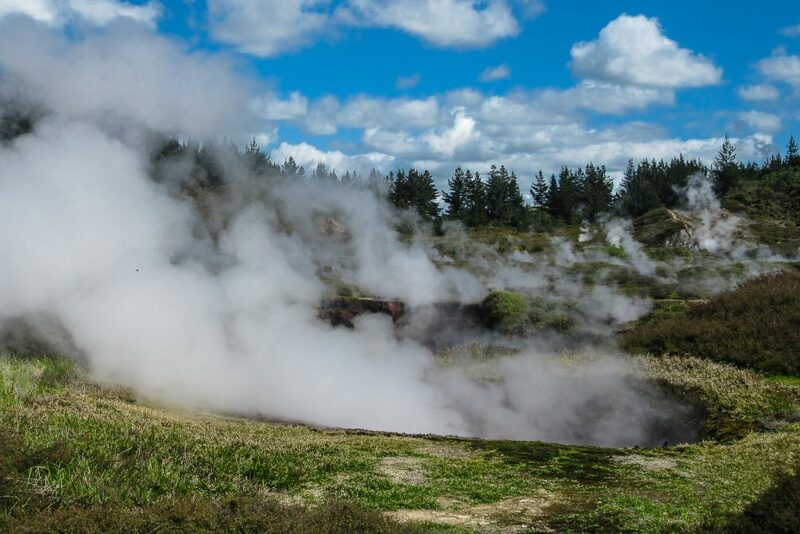 If you’re struggling to find more places to visit in New Zealand, then be sure to add Rotorua to your New Zealand Itinerary! What’s more is you’ll have the chance to learn more about the fascinating Maori culture here at one of the most mesmerising New Zealand landmarks. The rolling green hills spread out around the gently meandering road. The luxurious atmosphere of the wineries around you fills the air, along with the soft, sweet scent of the vineyards. The distant sound of the ocean waves carries through the air as you explore Waiheke Island. Tasting delectable wines and basking in the ambience of your surroundings, you sit back and enjoy this leisurely activity. Wine regions rely very heavily on the geographical features of the land. This is why New Zealand’s diverse terrain is able to provide such a wide range of wines. 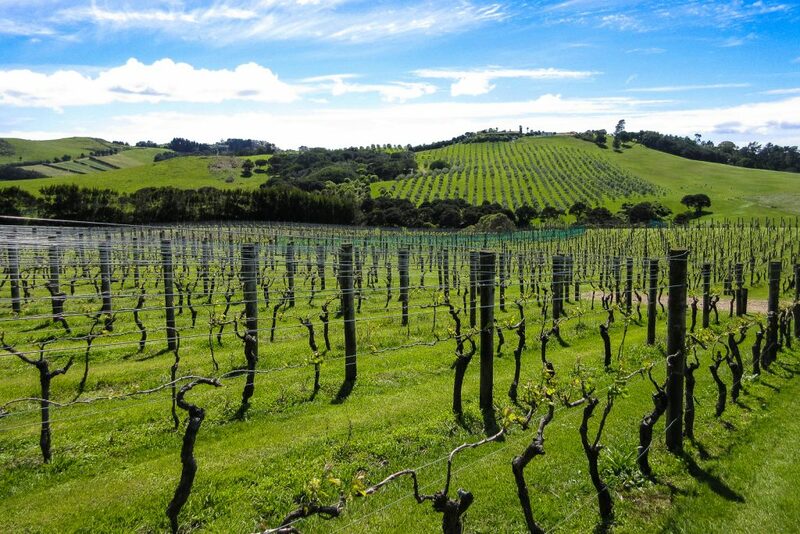 You will be able to find wineries in a number of places spread across New Zealand’s North Island. Wairarapa, Gisborne and Waikato are just a few of the many wineries here, all of which produce popular brands. With New Zealand’s rich history in wine making, it’s small wonder they are able to provide wine of such excellence. Wine has been in production in New Zealand since as early as 1836. This has given the country enough time to develop the world’s very best Sauvignon Blanc. Read more about Wine Tasting in Martinborough. The freedom of exploring New Zealand’s North Island by car is unparalleled. With an abundance of places to visit in New Zealand, and things to do in New Zealand, all of which are spread out across the country, there is no doubt that your vehicle of choice will make a big difference to your New Zealand Itinerary. 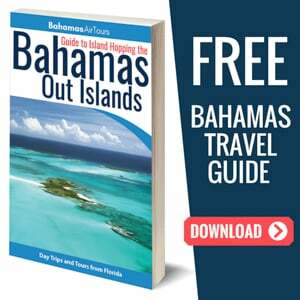 The self-driven option is by far the best, allowing you to explore the island on your own terms. 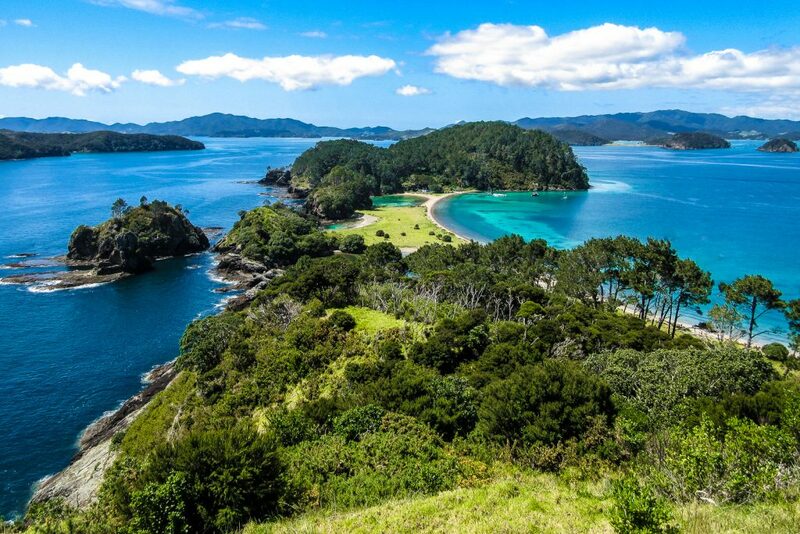 The convenience and accessibility of New Zealand’s North Island is world-class. However, it can sometimes become difficult to appreciate your surroundings on a journey if you’re focusing on the road. An excellent travel option is to drive from Auckland to Wellington by car, and then do the trip back on the Northern Explorer railway line. Sit back and enjoy your journey through the magnificent landscape after having had the freedom to explore it all on your own. Read my Top 10 things to do in South Island. Each and every single one of the items on this list should be part of your New Zealand Itinerary. It will provide you with an excellent balance between outdoor activities, scenic journeys and relaxing getaways. If you’d like to look at a more detailed itinerary, then read through our comprehensive North Island Itinerary. You will get a detailed list of all the stops as well as an interactive map of the route. Please leave me a comment below if you have any New Zealand top tips or questions about my Top 10 North Island list. New Zealand is amazing. I spent more time in the South Island but really enjoyed my time up north. The highlight was probably Tongariro – beautiful mountains and volcanoes. The white island looks amazing! I love how New Zealand has these two different geographies; North Island – snow capped volcanoes, South Island – Mountain ranges with Glaciers. It means whether you can fit only one island into your itinerary, you’ll always have the opportunity to get up into the NZ mountains! This is so awesome to see! As someone who grew up in the Bay of Islands and then moved to Auckland I’ve been lucky enough to tick of the majority of these… White Island is top of my list of places to get to when I get home though! 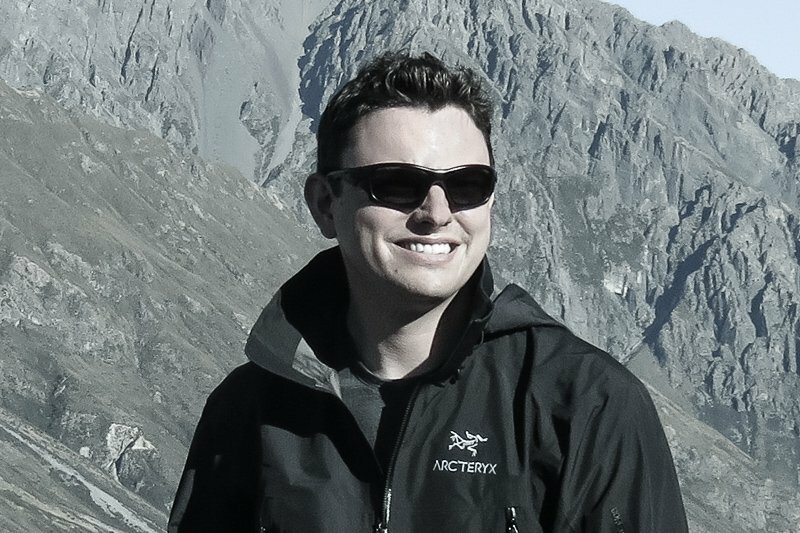 Hi Michael, You are very lucky to have lived in stunning New Zealand, you have a beautiful country there! Enjoy your travels, especially in London.